Second day of hell - working on the Thin Places book proposal. I nearly finished the Introduction. I worked several hours and only managed to plunk out a 500 words and the work out how the book will be framed - the contents and chapters. My efforts are below. It envelopes our every movement. 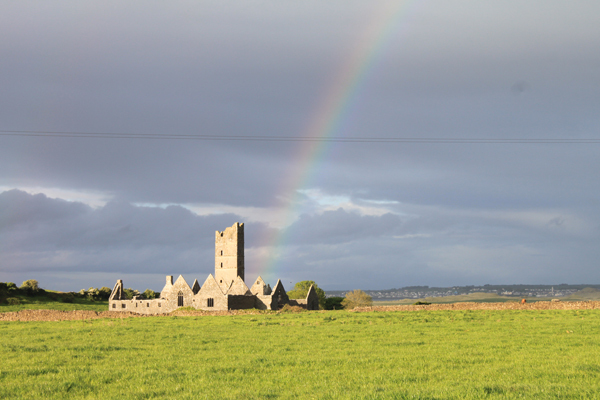 There is something mystical about Ireland. Everyone knows this. An invisible charm haunts that tiny spec in the north Atlantic and draws over six million visitors to her shores each year. The landscape with its mountains, rocky fields, misty hills and ruined castles and abbeys draw the visitor inside its ancient story. There is a magic. A sense of another world. The ancient people of Ireland and Western Europe believed that there were special places in the landscape where the veil between the physical world and the eternal world was thin. They called these sites, thin places, and they believed there was a special power or energy about them. They settled near them, conducted sacred rituals around them, and buried their loved ones in these thin places. Remnants of their markings exist today, making it easy to visit some of these sites and feel as they did – taking in the earth energy, feeling close to the unseen world the eternal world, which will claim all of us someday. This is a time of spiritual awakening, when there is a great focus on mind, body and spirit. Humans worldwide are seeking inner peace, and a sense of spiritual power. Thin places are the wells where we can extract some of that power and closeness to the great spirit, creator most of us call God. 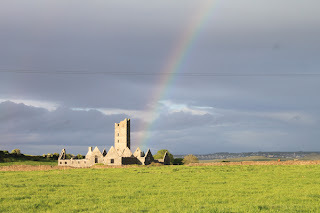 Thin Places; Irish Gateways to the Otherworld is a spiritual travel memoir about such places in Ireland, with insights on how the reader can capture a bit of the spiritual energy in mystical places such as the thirty-seven thin places cited in the book. There will be seven chapters, an introductory chapter introducing the concept of thin places, followed by a chapter on each of Ireland’s five provinces, Ulster, Leinster, Connaght, Muenster and Meath. Each province chapter will include entries on five to eight thin places in that particular province. The seventh and final chapter will feature suggestions on how to get the most out of a thin places experience, including journaling practices, photography hints, sensing earth energies, and exercises for awaking spiritual sensitivities. Though the book will include some of the well-known mystical sites in Ireland such as the Rock of Cashel, the passage tombs in the Boyne Valley, it will also include lesser known, yet particularly powerful sites such as Caldragh Cemetery in County Fermanagh, and Glen Columbkille in County Donegal, the Well of the Wethers in County Kerry, and Athassel Priory in County Tipperary. The entry on each site will tell about the history of the site, why people believe it is a thin place, and my personal experience in traveling to that site. The book will also include thirty-nine images, one on each of the thirty-seven sites, a map of Ireland marking the sites, and a cover photo. This introduction was difficult. I kept editing and changing and rearranging. I still hate it. But I figure once the whole proposal is done, this introduction will look nothing like it looks now. I'll kill most of it in the final edit. So after being disgusted by today's progress, I joined my husband for a dinner at the Circle Inn in Crisfield. We dined on rock fish, crabcakes, corn pudding and peas & dumpling. Dinner convesation focused mostly on the attributes of chowder, or as he says, "chow-dah." Then we came home and instead of returning to the woeful task, I am going to watch the British sitcoms on PBS.